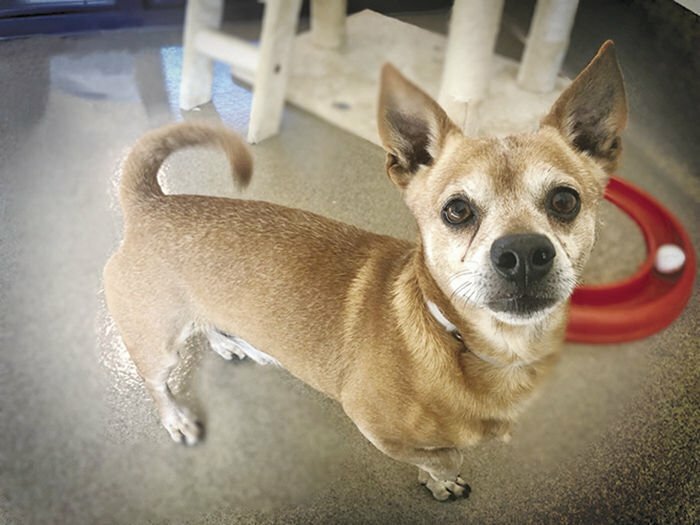 Opie is an adorable seven-year-old tan male shorthair Chihuahua. He is very a friendly, happy and outgoing little doggie. He loves everyone he meets and runs up to you for pets with his little tail wagging. Opie loves to run around, explore and be adventurous when he’s out in the play yard. He is attentive to treats and gets so excited for them that he even twirls. There will never be a dull moment with Opie around. Opie gets along with other dogs his size and is currently kenneled with two other doggies. He came to the Palmdale Animal Care Center as a stray on March 25. Queen is a beautiful 11-year-old female. She is listed as a German shepherd, but is very petite, weighing only 36 pounds. This special girl is very sweet and gentle. She has a mellow demeanor and an easygoing personality. Queen would make a great companion for someone who enjoys the simple things in life like relaxing on the couch, morning walks and snuggle sessions. 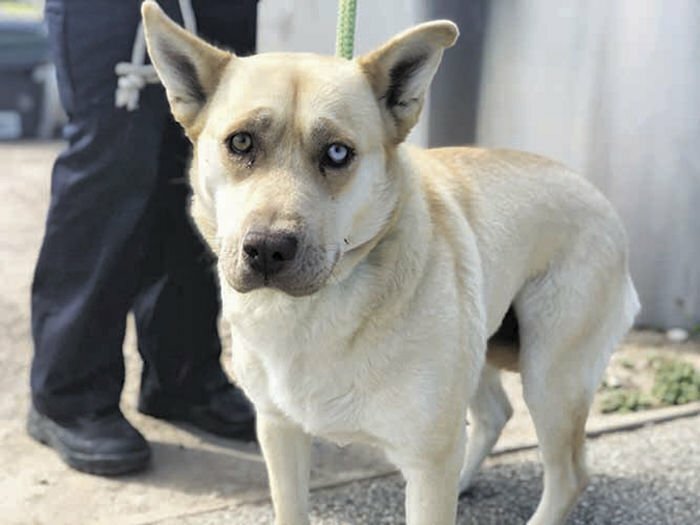 This lovely lady came to the Palmdale Animal Care Center on March 26 as an owner surrender because her owners who had her for more than five years could no longer afford to take care of her. Best in an adult home. Kenza is a five-year-old pit bull mix who is the cutest thing around. She has been to playgroups and does well with other gentler dogs. She would do best in a calmer home, and she likes to go on walks. She also loves to eat treats and sunbathe. Visit Kenza at the Lancaster Animal Care Center. Abigail is a five-year-old shepherd mix who is as kindhearted as can be. She goes to playgroups frequently where she prefers to lay in the shade and relax. She is a bit shy and timid, so she would do best in a home who could work on building her confidence. Visit Abigail at the Lancaster Animal Care Center. Denim is a six-year-old pit bull who is a bundle of love. She has been to playgroups and does well with gentle dogs. She walks well on the leash and loves attention. She would do best in a home with any age kids and/or other calm animals. See Denim at the Lancaster Animal Care Center.